UPDATE June 4, 2013: For 2013 Fireworks Schedule see “Coney Island Fireworks 2013: Fridays, 6 Saturdays and More…” The first Friday night fireworks show of Coney Island’s 2013 season will be on June 21 and this free weekly event continues every Friday through August 30. When the weather is iffy, check the Coney Island tweeters on Coney Island Fun’s list for updates here. 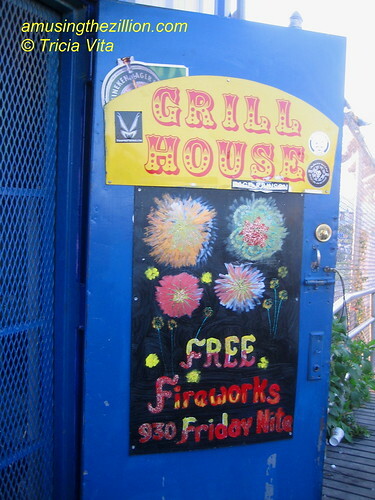 Coney Island’s first fireworks show of the 2010 season is this Friday, June 18th. On the eve of the Mermaid Parade! The free shows continue every Friday through September 3 and begin at approximately 9:30 pm. Best viewing is from the Boardwalk or the Wonder Wheel. Please patronize the main sponsors of the fireworks: Deno’s Wonder Wheel Park, the Cyclone Roller Coaster, Luna Park and the Brooklyn Cyclones baseball team. This weekend is going to be a double header as far as fireworks: Walking by MCU Park on the way to the circus, we passed by the Brooklyn Cyclones banner advertising the fireworks and just realized there’s a show on Saturday, June 19! Catch the fireworks after the Brooklyn Cyclones opening game of the season or the Mermaid Parade and Ball. Either way, Saturday is going to be an even more eventful day than we thought. it dosnt say when it is in july!!!! I know this is a stupid question, but can you see the fireworks at MCU Park from the boardwalk? I don’t see why not. You don’t have to be in the ballpark to see the fireworks. When I viewed the Cyclones’ Saturday night fireworks, I was standing near Stillwell Ave or behind Nathan’s. I have a question on the schedule you posted for the Fireworks in Coney Island. You posted Saturday the 10th, do u mean July 9th instead. Please confirm. So many people were coming to this post originally written in June 2010 and not realizing it was last year’s that I updated the beginning with the 2011 schedule. Are the fireworks cancelled tonight? yes they are cancelled due to earlier forecast of thunderstorms. there are three more Fridays for fireworks this summer. enjoy! on August 23, 2012 at 4:12 pm | Reply Mel.